Former Liberal prime minister Jean Chrétien says Quebec's political class is "trapped" in a pointless debate over a non-existent problem: how to accommodate religious minorities. Last week, the Liberals suffered a stunning defeat by the upstart Coalition Avenir Québec, which promises to ban public servants in positions of authority — including teachers, judges, police officers and prison guards — from wearing religious symbols. 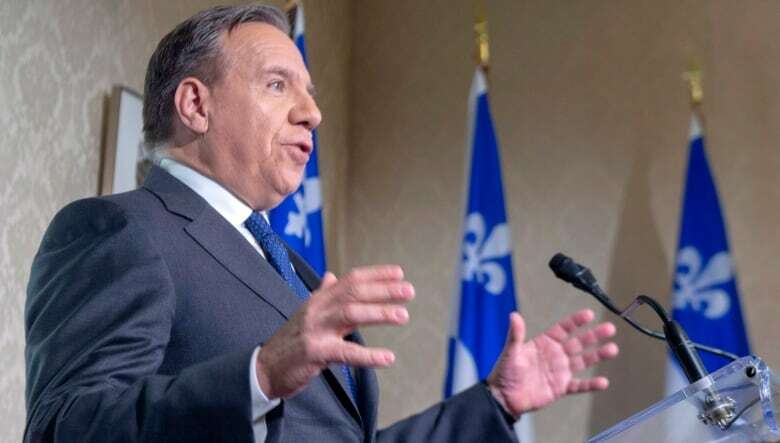 Premier-designate François Legault has threatened to use the controversial notwithstanding clause in the Charter of Rights and Freedoms, if necessary, to enforce the ban. Chrétien said the debate reminds him of the political quagmire that resulted in the late 1980s and early 1990s over Quebec's demand for recognition as a distinct society in the Constitution. "You remember when everybody was trapped in the debate on the distinct society, [I said] 'We're stuck in the snow.... What do we do when we're stuck in the snow? Relax, [move] a little bit forward, a little bit backward, and eventually you're back on the road,"' he said. "Everybody was furious with me saying things like that, but it turned out that I was right.... I knew that the guy in Shawinigan didn't give a damn." Quebecers and other Canadians eventually calmed down and moved on, and Chrétien predicted the same will happen with the religious accommodation debate. That will occur as Quebecers realize the logic of banning religious garb can lead to "ridiculous" outcomes, he said — like in France, where Muslim women have been arrested for wearing full-body swimwear on beaches, but it's "no problem if you're completely naked." "You know, you can be afraid of everything if you want to be afraid," Chrétien said. "A lot of people are afraid of planes, but eventually they get on a plane because to go to Florida walking, it's a long ride." 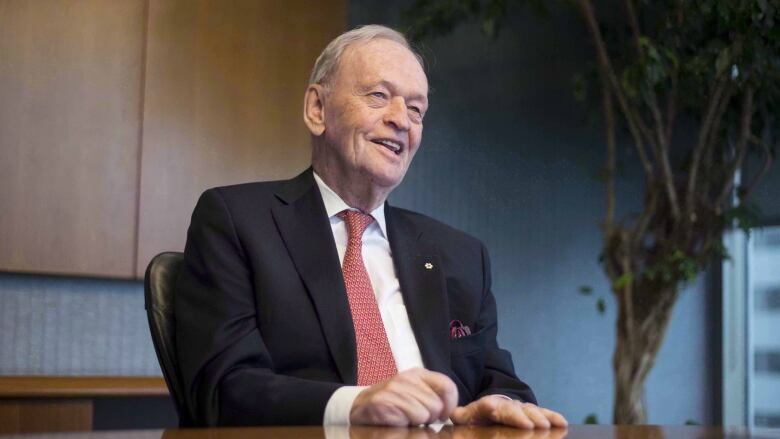 As for the notwithstanding clause — which Chrétien persuaded former prime minister Pierre Trudeau to accept as a condition for getting provincial support for the Charter of Rights and Freedoms — Chrétien said he doubts either Legault or Ontario Premier Doug Ford, who has also threatened to invoke the clause, understands the consequences of overriding the charter. "I don't think Legault knows a lot about the Charter of Rights and Freedoms, and Ford obviously was not a professor of law," he said. The notwithstanding clause has not been used once in 38 years by a federal government — and Chrétien said that's for good reason: "because there is a big price to pay eventually." 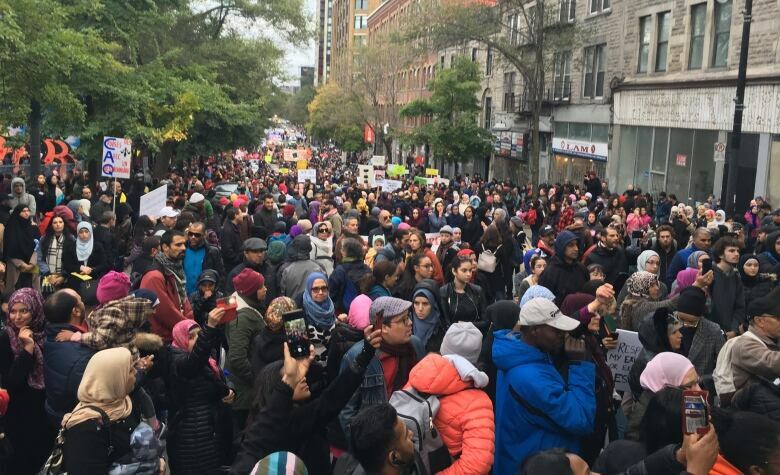 Less than a week after Legault's election victory, Chrétien noted that an anti-racism protest has already been held in Montreal. Ford planned to invoke the clause to override a court ruling on his government's legislation to reduce the size of Toronto city council. Chrétien said he's sure the Ford government "was very relieved" when the ruling was stayed pending an appeal, making use of the notwithstanding clause unnecessary. Watch Rosemary Barton's interview with former prime minister Jean Chrétien on CBC's The National, Wednesday at 10 p.m. on CBC Television (9 p.m. ET on CBC News Network).